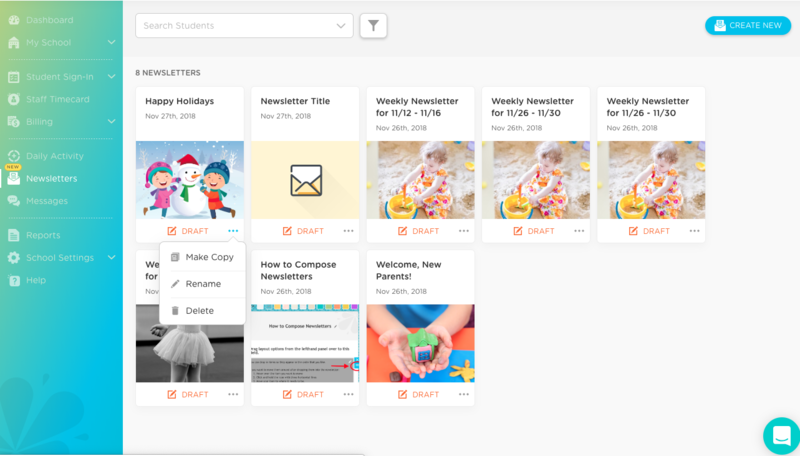 Newsletters are a great way to communicate with parents, whether you want to send them an email, include an attached document, or send a collection of your latest class pictures. 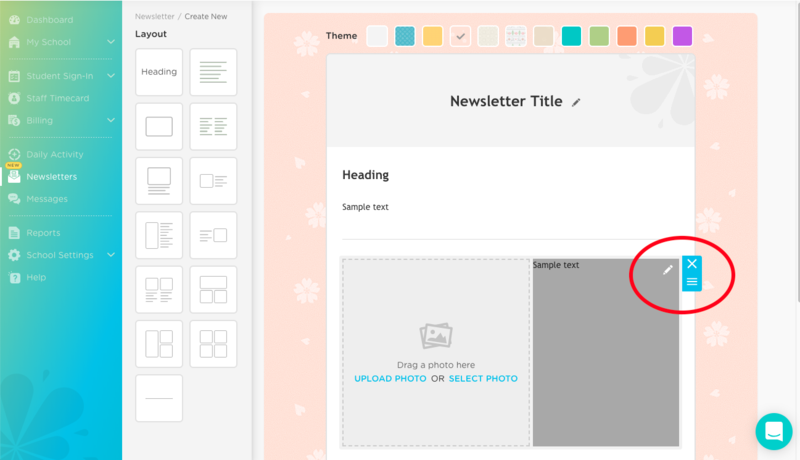 Our newsletter builder makes it easy to add content in the layout that you want. Use the "Theme" bar along the top (indicated in red below) to add a background color to your newsletter. The layout options (indicated in blue below) are all located along the lefthand side. Click on the layout you want and drag it over to the gray Drag and Drop box. After the first item is added, you may need to move your mouse around when adding more items so that they appear in the Drag and Drop box. To edit the "Newsletter Title," click on the pencil icon (circled in red below). A pencil, which allows you to edit the box's content. An "X," which allows you to delete that layout box. Three horizontal lines, which you can click and hold to reorganize your layout. If you want to use photos from your computer, click on the "Upload Photos" link. If you would like to use photos from the Kinderlime Cloud, use the "Select Photo" link. You can only choose one photo for each layout box. Once you've selected your photo, you'll need to crop it so that it will fit within the layout. Keep in mind that photos also need to be less than 5MB, or you won't be able to upload them. You can use your computer's photo editor to adjust the size if necessary. If you need to attach a file, you can do so by clicking on the "Attach File" link towards the bottom of the newsletter draft. If your file is too large, you may need to compress it before attaching it. If you are interrupted while working on a newsletter, or decide to complete it at a later time, you can use the "Save as Draft" button at the bottom of the screen. This will take you back to the main Newsletter page, where you can see your current draft. To begin working on it again, simply click on the newsletter title or image. Use the ellipsis (...) to make a copy, rename, or delete your draft. 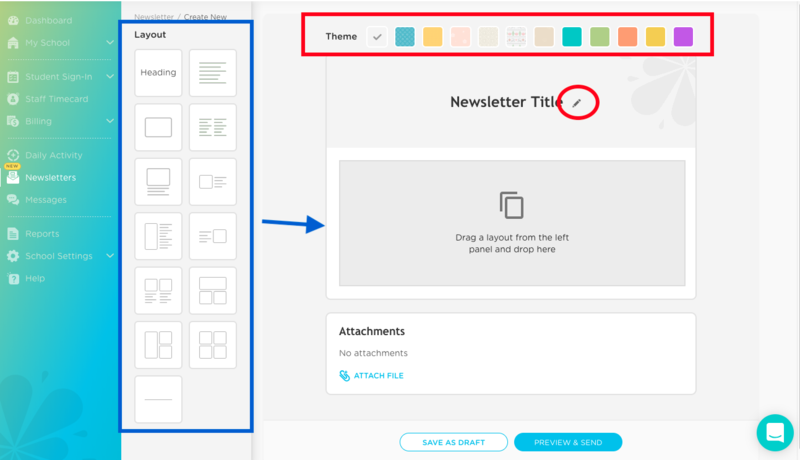 When you're ready to send the newsletter, click on the "Preview & Send" button below the newsletter draft. This will take you to the Preview screen, where you can use the "Add Student" button to add recipients for your newsletter. 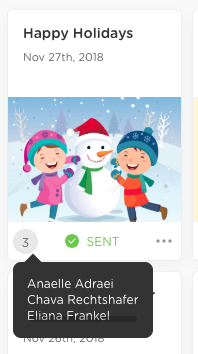 You can then use the "Send Newsletter" button to send it. Once you've sent your newsletter, you'll see the total number of recipients in the bottom left corner of that newsletter box. If you hover over the number, you'll see the names of the students.